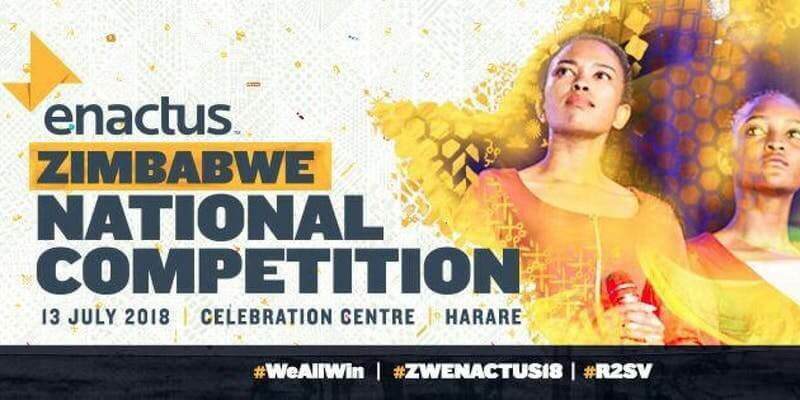 BOOST Fellowship will be hosting their Zimbabwe National Competition next week Friday at the Celebration Centre in Borrowdale. BOOST (Building Opportunities on Student Talent) Fellowship is a not for profit youth empowerment organisation and every year they host this competition to showcase how entrepreneurial action and shared innovation is transforming lives and creating a better future. BOOST Fellowship is under the Enactus group and though you may not recall this Enactus, but this is the same organisation formerly known as SIFE, aka Students In Free Enterprise. They changed their name to Enactus six years ago in 2012. At the competition itself these teams will spend 17 minutes on stage showcasing their community empowering projects. The projects are supposed to be making an impact presently, have the potential to create new careers, and spark innovation in businesses. There will be a panel of judges to actually determine which presentation is deemed as the stand out. The winning team will get a chance to represent the nation at the Enactus World Cup that will be hosted in the Silicon Valley. The World Cup will be hosted from 9-11 October in California. There will also be prize money dished out that will be sponsored by the corporate who are partnering with BOOST. It’s not yet clear how the money will be distributed. We will updated this article once those details have been disclosed to us. As far back as 2012, MSUs SIFE team managed to place 4th at the Enactus World Cup so the exposure and the brains to go the distance are certainly there. Hopefully whichever team is chosen to represent Zimbabwe can have a deep run later this year. [VIDEO] The EcoCash Chakachaya Grand Draw Live!